Before hitting the road, NADA urges drivers to take a few minutes to check the condition of your tires. Well-maintained tires keep your car safer, help it last longer, and save you money, too. Choose your tires carefully. Too many drivers buy a tire based on initial price or appearance. Tire selection should be based on the correct size recommended for the vehicle and its load recommendations. You should consult with a knowledgeable tire or automobile dealer about selecting the proper tire for your typical driving patterns. Check your tire pressure at least once per month, and especially before a long trip. Remember, underinflation is a tire’s No. 1 enemy, because it can cause damage that may lead to tire failure. However, overinflation can cause uneven wear plus handling and stopping problems. Use the manufacturer’s recommended air pressure listed on the sticker of your vehicle’s door jamb or owner’s manual as a guide. 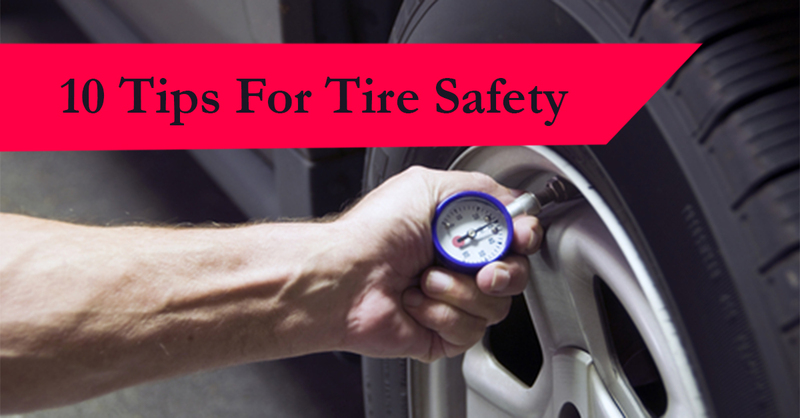 Always check the pressure of your tires when they are cool or cold. Driving heats up tires, making readings incorrect. During wet weather, slow down. As your speed decreases, the tire footprint (the amount of the tire’s tread contacting the road surface) increases, providing better traction. You also reduce the risk of hydroplaning should you run into water puddled on the road. Make sure you do not overload your vehicle because it can create excessive heat inside your tires. An overloaded vehicle puts stress on tires that can cause damage and lead to tire failure. Check the manufacturer’s load recommendation, which can be found on the vehicle information placard inside the driver’s side door post, or in the vehicle owners’ manual. NADA wants you to remember that by checking your tires regularly, you will keep your travels safe, enjoyable and affordable. The above is an excerpt adapted from the article, “Ten Steps to Keep Your Tires — and Your Family — Safe on the Roads.” For more information, please visit www.nada.org.